Are you someone that loves checking to-dos off a checklist? Or even just someone that wants to keep their business life organized (so... pretty much everyone)? Boy, have we got a tool for you! You can find your Tasks tool by selecting the Tools menu in your top navigation bar, then clicking Tasks. Project-related tasks are associated with a specific Project, and visible both within the Project itself, and in your main task list. 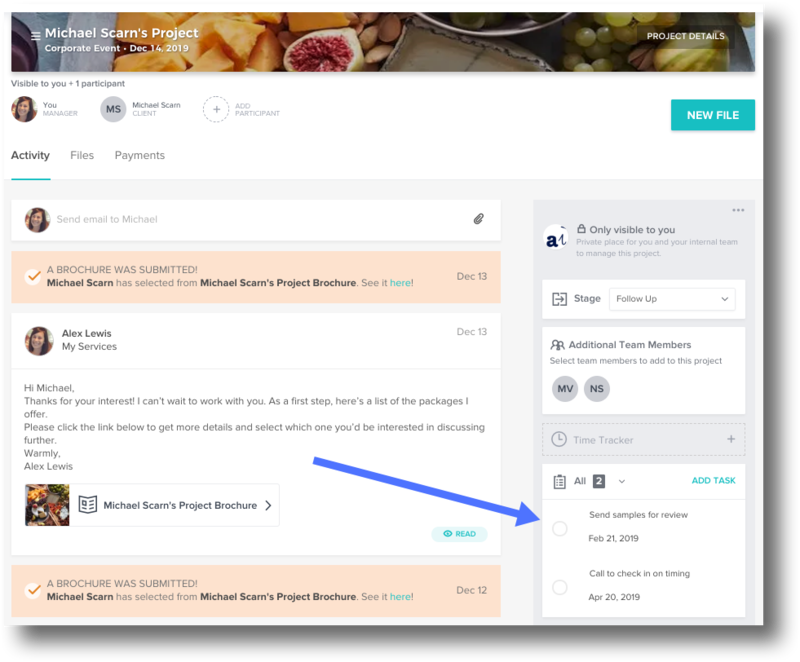 Your team members who've been added as participants to Projects that include tasks will be able to view and edit the tasks as well. General tasks are added directly to your main task list, with no Project associated. These tasks are private to you. Learn more about adding tasks here! 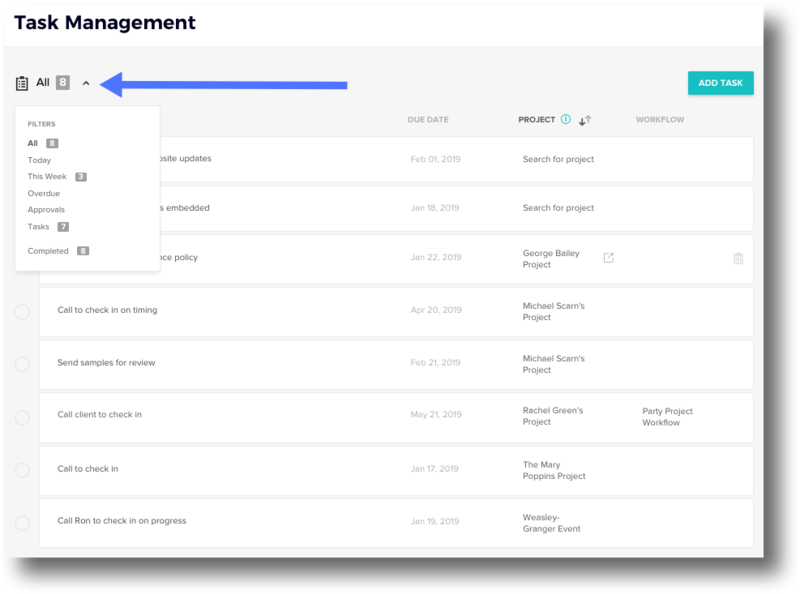 Once you've started adding tasks to your Projects or your main task list, you'll be able to sort and filter your full task list however you'd like, and check items off when they're complete. Click any column header (Description, Due Date, Project, or Workflow) to sort the list by that field. Click the filter drop-down to filter your list by due date or task status. Click the task's bubble to mark it as complete. PLEASE NOTE: If you've set up any Workflows to include a Create a Task action, or you've set any of your Workflow emails to require approval before sending, those tasks will also be visible in the main task list, with the associated Workflow noted in the Workflow column.